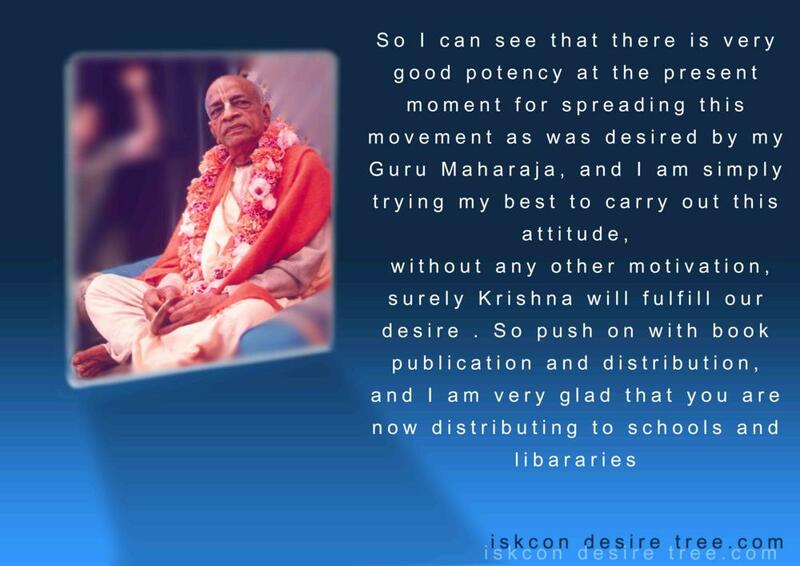 So i can see that there is very good potency at the present moment for spreading this movemetn as was desired by my Guru Maharaja, and I am simple trying my best to carry out this attitude, without any other motivation, surely Krishna will fulfill our desire. So push on with book publication and distribution, and I am very glad that you are now distributing to schools and libaries. 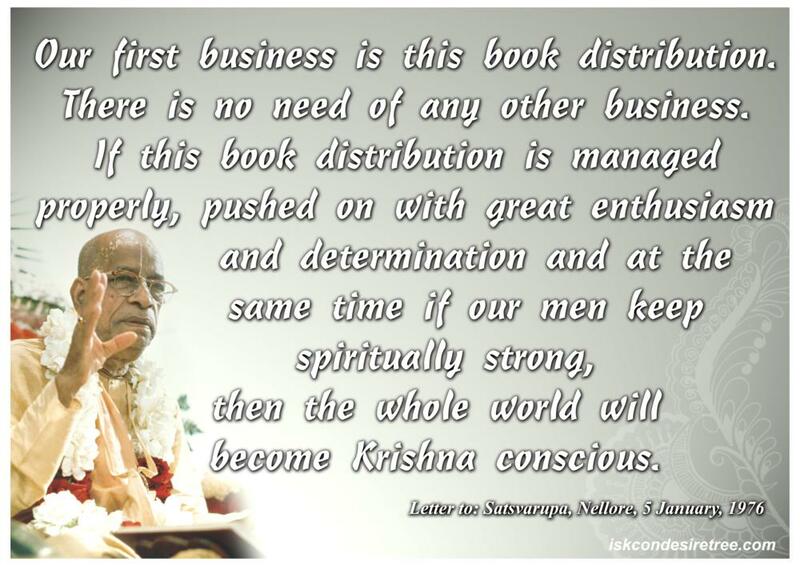 Thank you very much for your sincere endeavors to distribute my books widely. 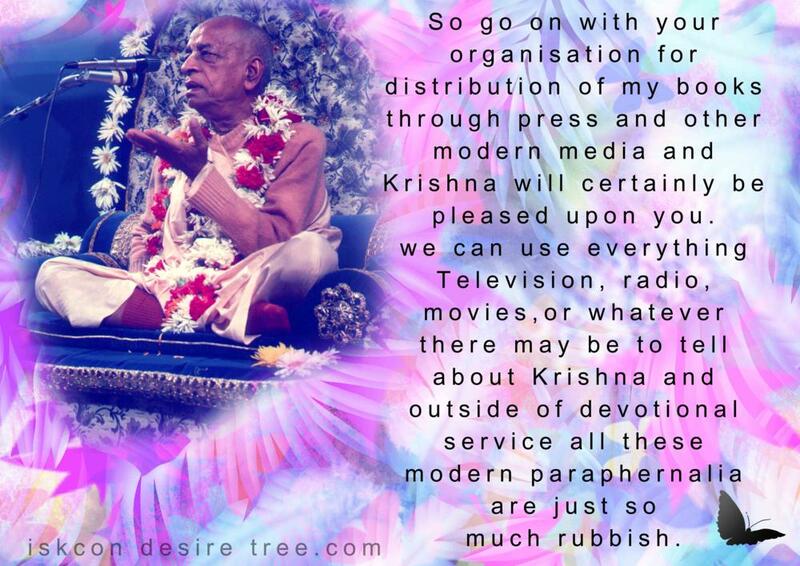 If you continue with such desire and determination, Krishna will give you all strength to increase more and more. 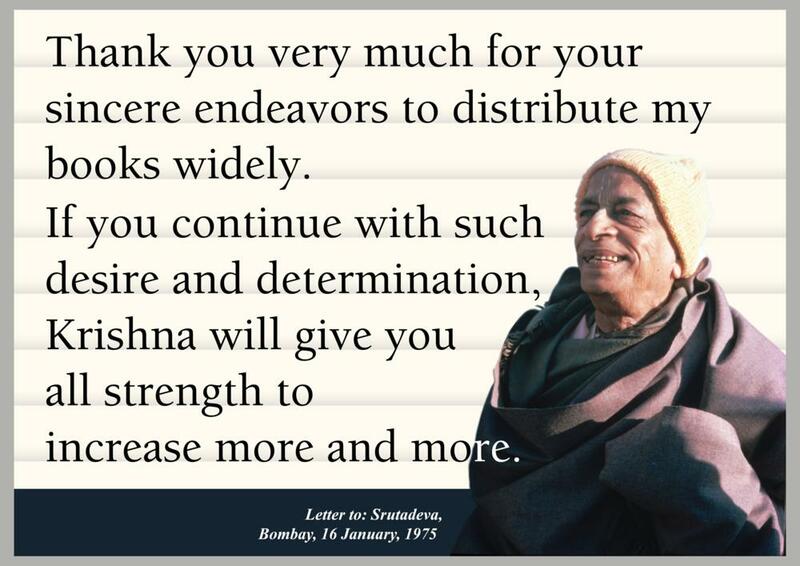 – Letter to: Srutadeva, Bombay, 16 January, 1975. Actually, this book distribution is most important, and you have pleased me very mucg. 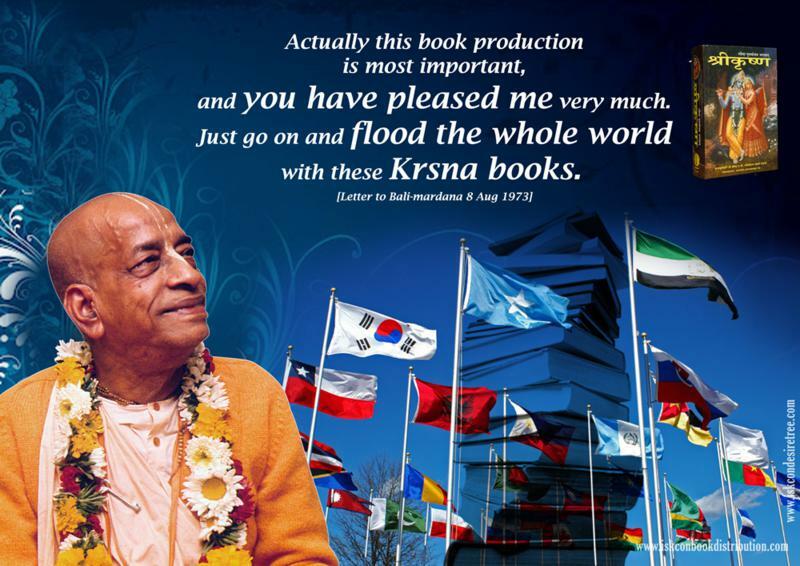 Just go on and flood the whole world with these Krishna books. 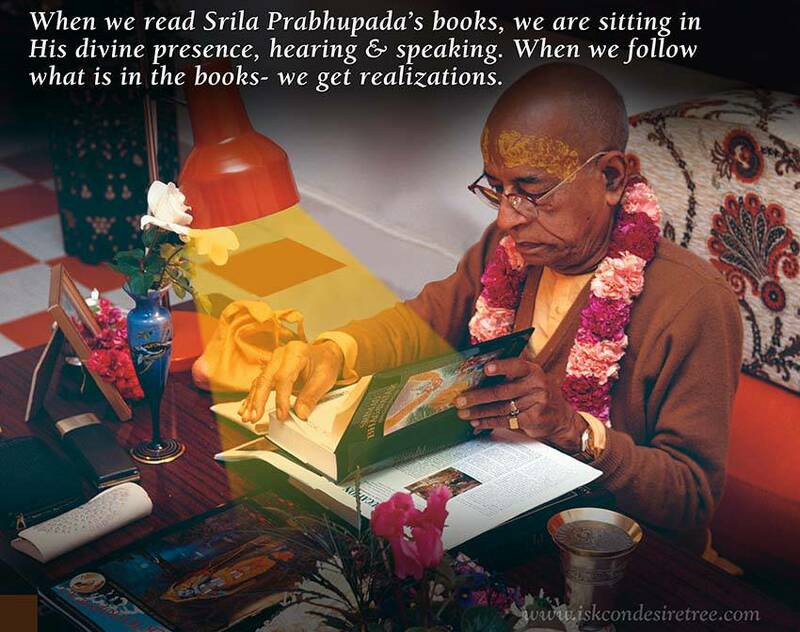 When we read Srila Prabhupada's books, we are sitting in His divine presence, hearing & speaking. When we follow what is in the books we get realizations.